I have a new confession. I no longer need to go back in the past. I have achieved the old world feel with my new camera. 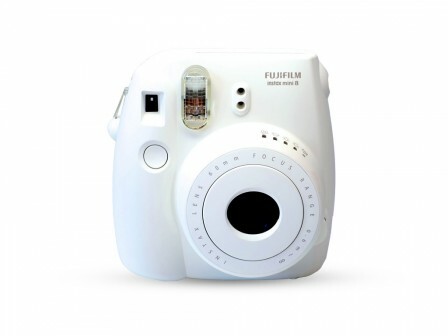 I recently bought the Fujifilm Instax Mini 8 in white and I am officially in love, literally. I have wanted one for so long and I was still not sure whether to buy one, but I went for it and picked one up. My purse was 120 euro lighter as I left the shop. Most of you are probably wondering what is going on, because you probably thought that it was only 100 euro if you have ever looked these things up. But you have to remember that you have to buy film as well, which is 20 euro for a pack of 20.... Which seems incredibly over priced but the camera comes with 40 shots free. It is really easy to use but you need to read the instructions. I took about 4 dud shots, and for the expensive film it isn't a good idea. The camera makes it super-easy to use so that there should be no messing around, but if you have no idea what is going on it is pretty easy to make mistakes. Each capsule of film contains 10 shots and one sample shot that you print out first to get it ready. I thought that this was an actual photo at first but really it is just a piece of plastic. All photos pop out the top and you just have to wait for them to develop. I hardly have any problems with this but of course, there has to be a few... One thing is that if you open the back of the camera where the film is kept, it automatically goes back to telling you that you have 10 shots left when you could only have one. This is particularly annoying for someone like me who has very inquisitive viewers of my new purchase. Another thing is that this camera is battery powered, and I am faced with the constant fear that it will run out of film suddenly one day and I won't be able to do anything about it. I can't just go "Oh I will go and charge it". I presume that this is a pricing issue and that they don't want to cause any hassle. I think that the reintroduction of the polaroid camera isn't people yearning for the past, even though that is what people may think. I think that this is a yearning for a novelty, because nothing is a novelty anymore. Everything is instant and because of this there is hardly any excitement in the world. You can take photos on your phone and upload them to Facebook, twitter or instagram. Then, let's face it, you forget all about. Hardly anyone gets photos printed anymore. So then they all slowly disappear from your mind as you change your profile picture. 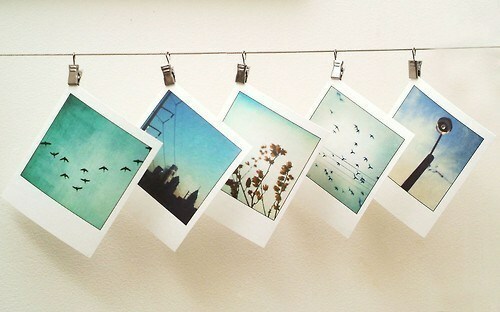 I know that you only take a few pictures on this little instant camera, but some pictures are better than nothing. Also, it saws that the pictures come out instantly but they don't. You have to wait about five minutes before it is fully developed. And while you are waiting you can't help but laugh and wonder "did it work", "did it come out". So you get a much better result at the end of it. You are all laughing at yourselves because the whole process seems so weird. I constantly embarass people while I am getting ready to take a selfie with someone because I have to try and line it up right and it must look completely bizarre to those who are used to selfies on iPhones. But, when I was talking a particular selfie by Ross Castle with my mom, everyone was looking and after mom had stopped pretending that she didn't know me, I noticed that everyone was looking over. They weren't looking at us like we were weird (but that might have been part of it), they were looking because they were amazed too. No one looked at the woman with the massive fancy camera that was standing next to us. Everyone looked at my tiny little camera because no matter how high tech we get, everyone wants a novelty.